Financing your next vehicle can be a stressful experience. That’s why the financing experts from Lévis Mazda work tirelessly to make sure that we are able to find the right financing or leasing solution for you and your next Mazda. 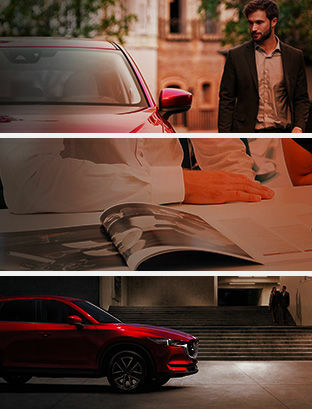 Whether you’re in the market for a brand new Mazda like the all-new Mazda CX-5 or a sedan like the all-new Mazda3, the financing department at Lévis Mazda is there to help you. That’s not all. Our financing options are designed to help people who are looking for a pre-owned vehicle from our large inventory of used cars as well. Our team of financing specialists are always working to find the right financing solution for every customer. That is why they are always available to answer any questions that you may have when it comes to the right solution to purchase your next vehicle. Our financing solutions are designed to help you save money on your next Mazda vehicle, while also ensuring that you are approved. Come into Lévis Mazda and speak with a financing expert today.